In a world in which ever-growing demand for water meets an essentially finite supply, it is unsurprising that rights in water have received much attention from courts and legislatures. Perhaps more surprising are the radical variety of property regimes governing this resource and the intensity of attention water rights have received in the scholarly literature. 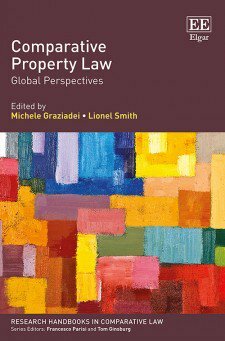 "Property" can sometimes connote land, the classic resource of property law; yet water often serves as land's alter ego, an exemplar of the odd, the esoteric, the colorful, or the cutting-edge in property law, set against the staid familiarity of land law. If water were our chief symbol for property, we might think of property rights--and perhaps other rights--in a quite different way. We might think of rights literally and figuratively as more fluid and less fenced-in; we might think of property as entailing less of the awesome Blackstonian power of exclusion and more of the qualities of flexibility, reasonableness and moderation, attentiveness to others, and cooperative solutions to common problems. More generally, it has been observed (Smith, 2008: 446), "Water law is seemingly so special that many commentators have seen reflected in it their preferred paradigms for property law more generally and have drawn very different lessons from it for the problems facing water users today." Indeed, much of the writing on water rights has revolved around the paradigmatic axis of private-common-public property, and this will be the focus of most of the following posts. Much of the literature in this vein belongs to positive theory, attempting to explain why property in water has taken various forms in various places at various times. Lying alongside this body of positive work, and oftentimes intertwined with it, is a more normative strain of scholarship, advancing arguments as to the proper property regime for water, whether in general or under specific sorts of conditions. Both topics have been deeply engaged, as well, by large bodies of historical and contemporary empirical work. More recently, the traditional law of property rights in water has been challenged and complemented with two different sorts of "rights talk", with lawmaking institutions and legal scholars advancing and grappling with the ideas of public rights in water and a human right to water, rights that may interact with classic property rights in water in complex ways. Developments around these topics will be treated in the final posts of this series.